Quick and easy. The pricing is great and the manager is very nice. Customer service was amazing. Was very convenient and fast. We were running late to uhaul and he got us in and out in a matter of minutes. This facility made it very easy for me. I live in California and I was able to pay over the phone and have someone else show up with my things. Pretty straightforward. Call them and set it up. They have storage rooms. 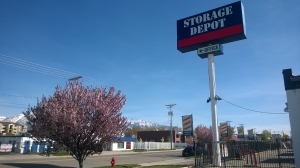 Excellent storage business priced fairly. Would recommend to a friend. Not as nice as some facilities, but it gets the job done! Great customer service. We were in a hurry and the manager was able to register us quickly and painlessly. He even gave a price slightly less than what had been quoted to us, which is always a good thing. 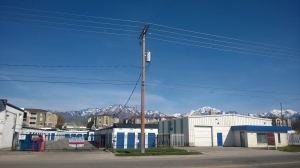 The unit is conveniently located near the freeway. My only constructive criticism is about the trucks and other trailers lining some of the alleys that made it a little difficult to maneuver our trailer when unloading. 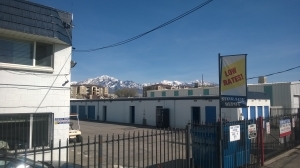 The main reason my husband and I chose this particular location was because on the site where we reserved it stated they would accept mail for tenants. This was important because during our move we would be staying in a couple different hotels and needed our mail to be delivered there. Once we began moving our items we were told they would not accept mail. We were very disappointed in them not honoring what was stated on the site. Since then they have removed this from their site. Helped me obtain the unit that met my needs! Office staff seems very nice. It was easy to find and accessible. My vehicle was already loaded and ready to go when I made contact. They were ready to accommodate my needs immediately. Brian was willing to wait for us an extra 15 minutes to arrive from Texas. He was very friendly and helped us in any way he could. I was called almost immediately after reserving my unit to talk about coming in and looking at the units available. All in all, great experience. Customer service was great. $90a month for a 10x10 that measures only 9x9 is pretty pricey. Would have been nice it the federal service and facility manager were honest and accurate about the unit size. Good customer service. Very economical. Helped me in a timely manner. 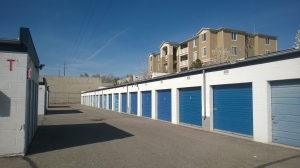 Needed a storage unit quickly, helped me take care of that situation and also explained everything thoroughly. It was a price I could afford. The service was great the facility was cleanfelt like a valued customer. This place is certainly the best In every category!!! No one has offered what they do at their price,nobody! Really appreciated the time Kevin took to find a unit that fit our needs. Liked their security features. Price was very reasonable. 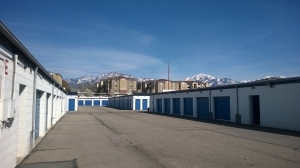 best storage facility I have rented, management is more than willing to help and or answer any questions. Staff was friendly, knowledgeable, & thorough. So far so good! I'm impressed with the manager and facility. It's conveniently located and great competitive pricing. It was a no brainer for us and we recommended friends. We will use Storage Depot now and in the future. It's great for what I need. I have rented multiple units in the past here. And continue to come back for my storage needs. It's been hard to beat the price, cleanliness and location. I'm a very pleased customer!